We were thrilled to be invited to participate in 2018's Cruinniú na nÓg, with Dublin's Culture Connects, and Creative Ireland. This wonderful festival makes art and culture accessible to hundreds of children across Dublin every year. 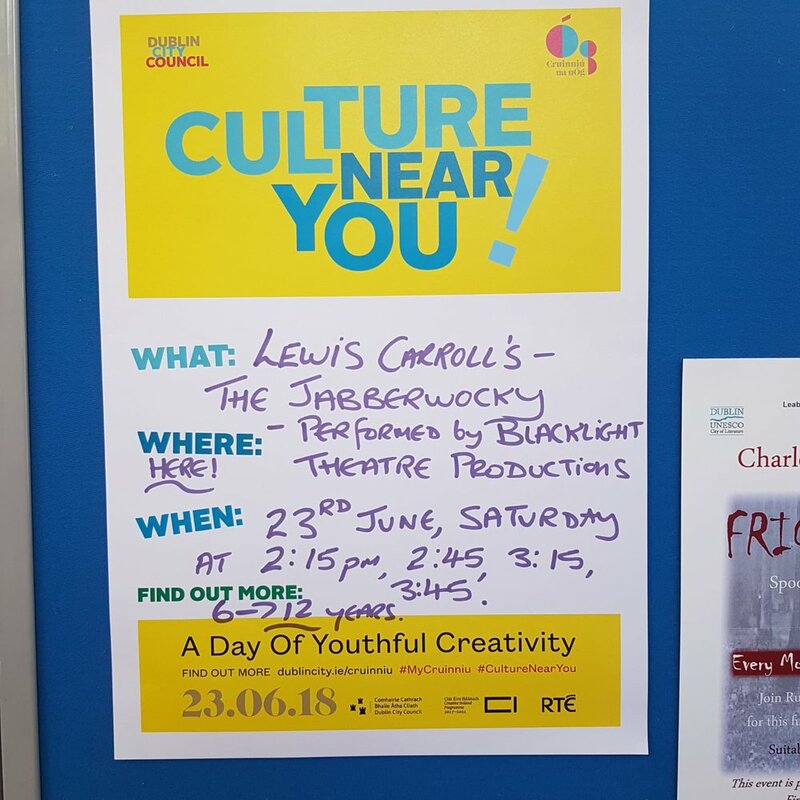 On Saturday 23rd June, we installed ourselves in the beautiful Marino Library for the day, and performed an adaptation of the Lewis Carroll's Jabberwocky for an audience of toddlers and their parents. Rarely has an audience been so engaged, so enthusiastic, and so very lovely to perform for. What a day! Newer PostNoel Coward's 'Fallen Angels' - Meet Our Cast!